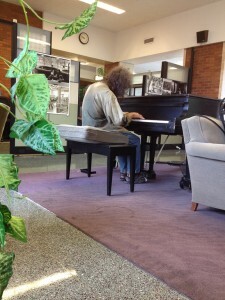 This homeless gentleman came into the student union where I was working the other day and asked to play the piano. The folks there graciously let him play and I got the sense that this has happened before with this man. 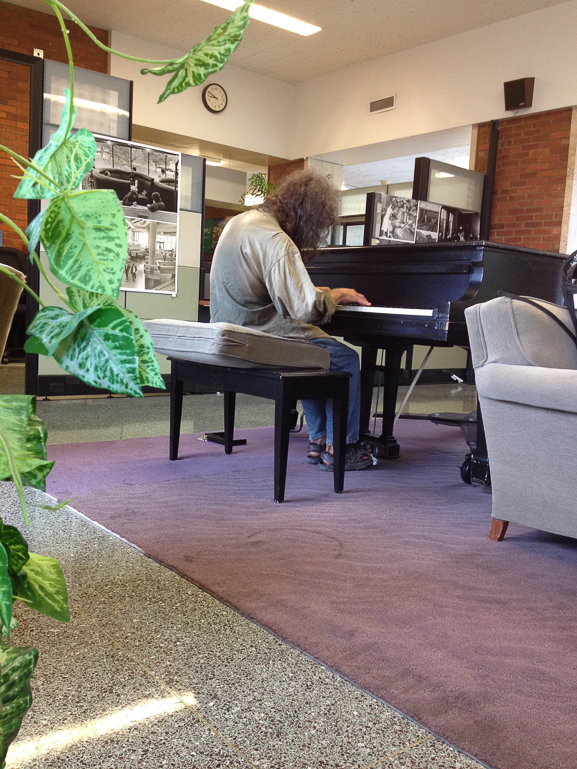 I took a photo of him and then recorded his playing for about 8 minutes. He’s quite good and it was nice to see that he found a place to play for a bit.